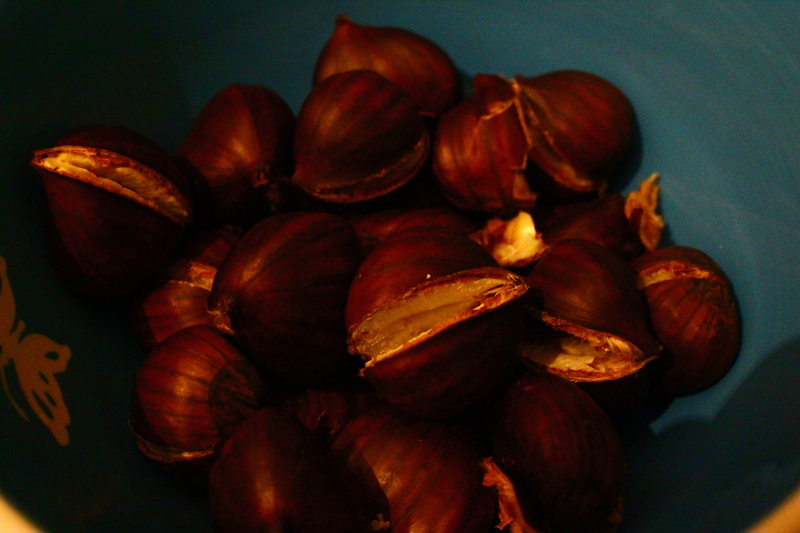 I thought it’d be a great thing to sum up the chestnut recipes of this cold season. I really got to love these little things. Maybe you did, too. cumin, curcuma, (curry, only if tolerated) etc. Clean the veggies, peel carrots and chop into small pieces. Peel garlic and finely chop it. 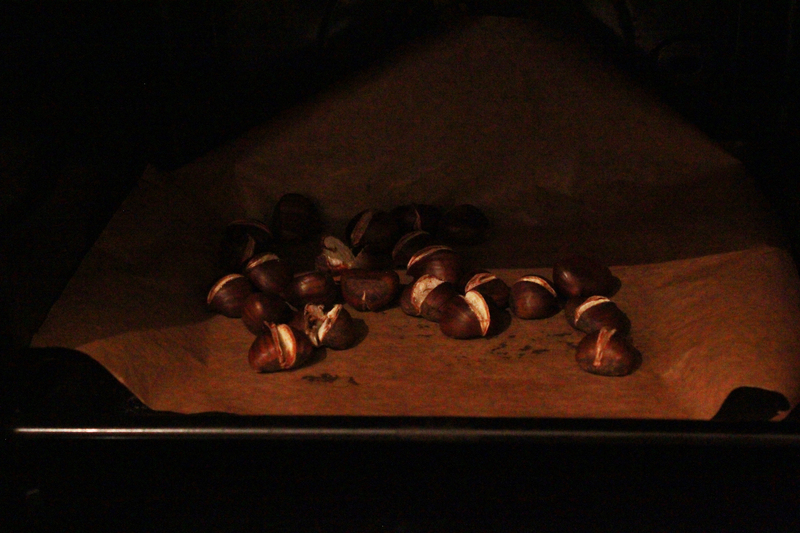 Remove the chestnuts from the oven, leave them to cool a little maybe (so they are not too hot to touch) and peel. Chop into small pieces. Heat up coconut puree or oil together with carrots and garlic. Roast gently for a moment, add the rice, then deglaze with a little wine (if tolerated, as mentioned) or just broth. Stir throughout cooking. 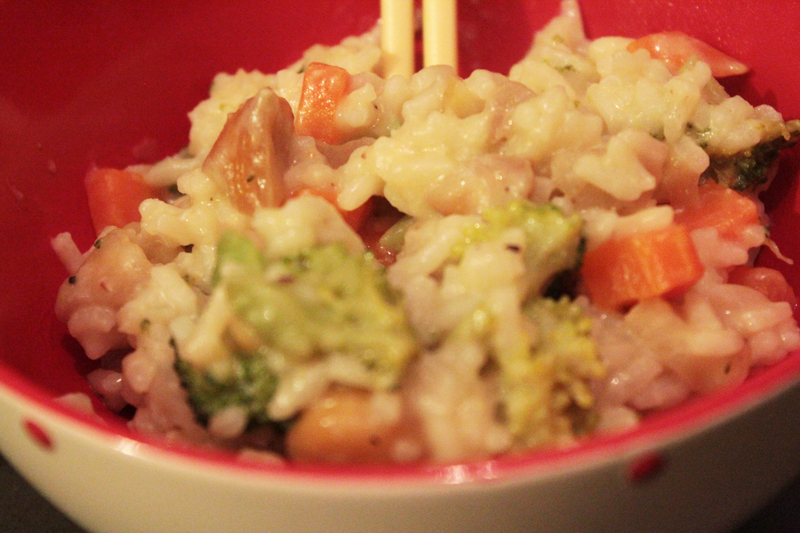 As soon as the rice took up the water add some more water respectively broth until the risotto is done. Add chestnuts after about 5 minutes of cooking. After 10-15 minutes of cooking add the broccoli. I add it rather late so the broccoli is just firm to the bite. 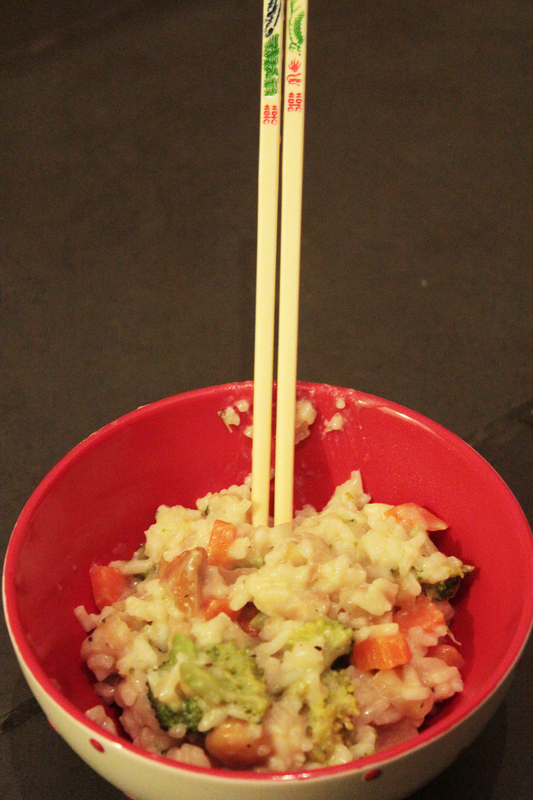 Altogether cooking takes about 20 to 25 minutes depending on the risotto rice you’re using. In the end add seasoning, salt and pepper to taste. There you go winter veggies with exotic seasoning, almost a bit like a curry.